In today’s time, the education field does tremendous revolution worldwide with compared to other fields. 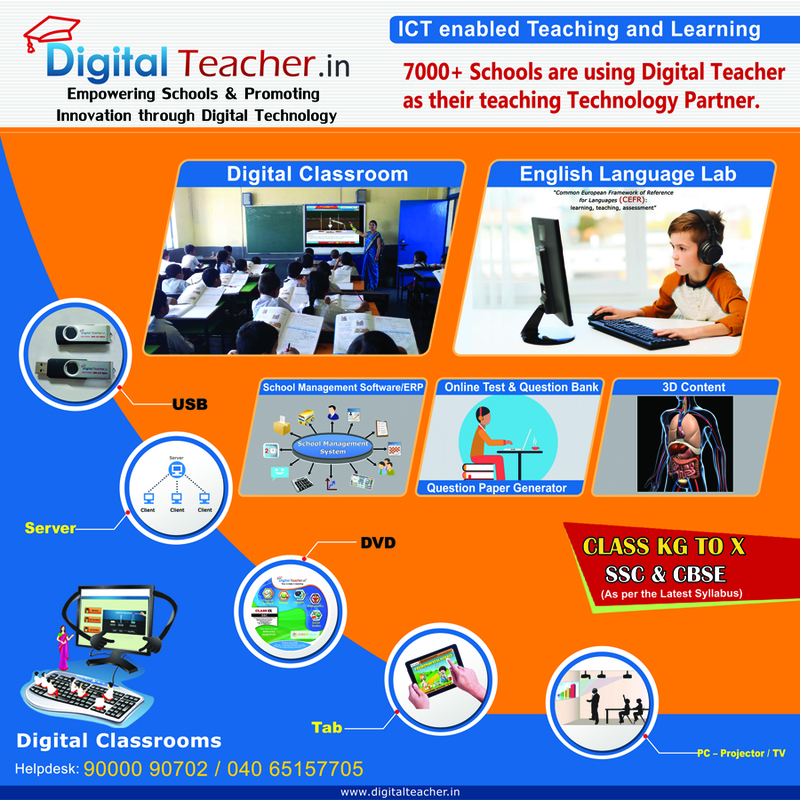 Digital Classroom Software is the best tool to make the scenario of the Computer-Based Teaching. The software is specially designed for encouraging, managing and enhancing learning. A digital classroom is a place where a teacher facilitates and the learners engage with the interactive content and tools of the software of digital classroom. Technology provides convenience and cost-saving solution for learning. A new science, instructional technology takes care of the design and development of engaging and effective learning experience for people. Digital classroom software makes the digital environment more effective with reliable integration of technology. Digital tools transform smartphones, laptops, and tablets into teaching tools, allowing teachers to create a robust digital classroom. Teaching English is fun using English learning software that facilitates students with English language lab with English learning videos and English listening videos. Teaching English means to make students efficient in listening, speaking and writing. English learning videos give an in-depth understanding of the core basics of the English language while English listening videos give ideas of pronunciation, voice tone, and how to deliver a speech using proper pitch. Various features are available in digital software that enhances flow less teaching and learning. eLearning software can have different modules for teachers, students, parents, and schools. • Effortless content creation: Teacher’s screen can be recorded automatically with a sound that can be used as many as times students want. • Comprehensive workflow: Recorded lectures are automatically sent to the cloud of the software. • Edit recorded lectures: Teachers can edit recorded lectures if needed. • Key point bookmarking: Teachers and students can underline or highlight the topics. • Integration: Plan lessons and tests in advance. Teachers can also add power point presentation, pdf, and images as per their requirements. • Broadcasting sessions: Teachers can publish live class on the internet for other students. Monitors the status of the class. • Publish: Any authorized can publish the smart class content of session on the digital library of campus and web-based library.